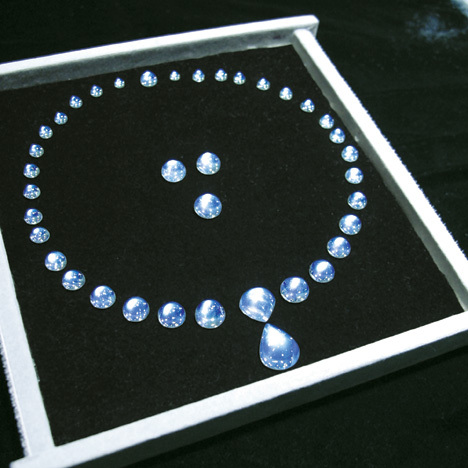 suite of finely crafted moonstones is arranged for a designer ensemble. Other feldspar minerals can also show adularescence. One is a labradorite feldspar found mainly in Labrador, Canada. 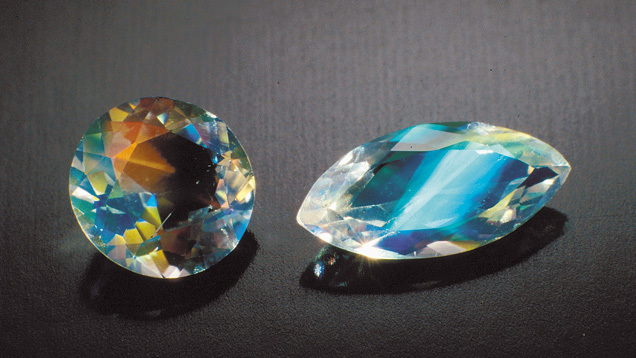 Another labradorite—found in Madagascar—has a multicolored adularescence over a light bodycolor. It’s known in the trade as rainbow moonstone, despite the fact that it’s actually a variety of labradorite rather than orthoclase. A variety of labradorite is sometimes called rainbow moonstone. 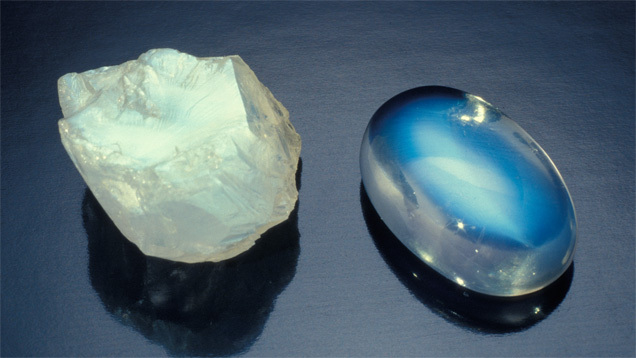 Sanidine is another feldspar mineral that can include adularescent gems called moonstones. 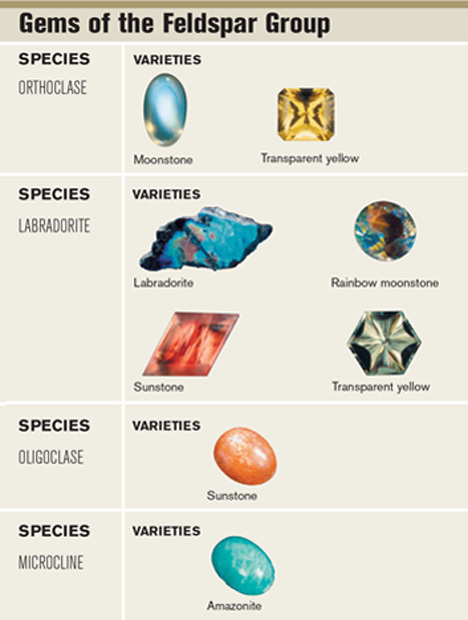 To be called moonstone, a mineral’s actual identity is not as important as the beauty of its adularescence. Explore moonstone history, research, quality factors, and more in the GIA Gem Encyclopedia.